The Aspire V Nitro's sleek lines, sharp angles, slim profile, and dramatic blend of premium materials make it a beauty-contest winner. Acer's industry-leading panel imprint technology (called "soft-touch NIL") turns the top cover into a feast of visual and tactile texture. Inside, the red glow of the backlit keyboard adds to the drama. The sleek exterior hides a brutal reality. Under the hood, the Nitro is pure supercar. Cutting-edge Intel processors combine with 256 GB solid-state drives, 1 TB HDDs, and Nvidia graphics cards to ensure powerful performance and astounding gaming experiences. Dual wireless antennas double the data flow, for very high connection speeds. Four built-in speakers and Dolby Digital Plus Home Theater surround sound puts you inside the movie. The high-end screen has IPS tech built in, so you can see all the full-colour action, even from wide viewing angles. The Aspire V Nitro has been certified by Skype because it has all the high-quality hardware and software that's required for great online conversations. This means you can enjoy smooth voice and video chats without fear of echoes, gaps or lag. Top-of-the-line Intel standard-voltage processors deliver powerful performance. Newest-generation Nvidia GeForce GTX 860M graphics enrich visuals and boost gaming performance for full-throttle entertainment. Choose the Aspire V Nitro model that has all the features you want. 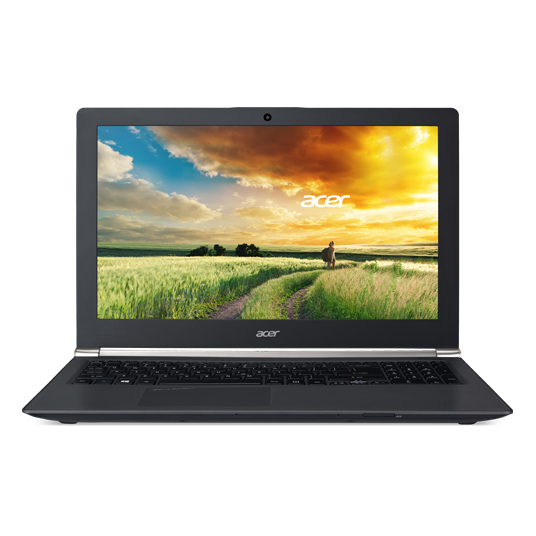 Acer DustDefender prevents dust build-up and Acer CoolBoost technology puts a pop-up user interface on your screen, from where you can easily control airflow and improve system cooling.